And wake to a Han$onless dawn! 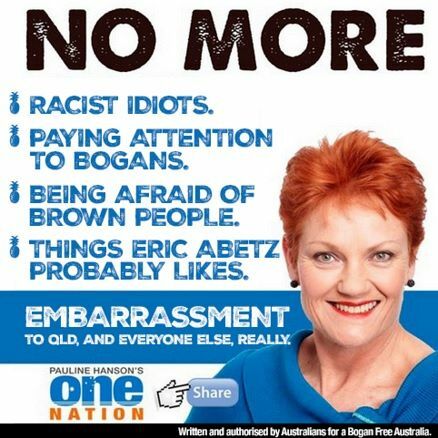 This entry was tagged bigot, bigotry, Pauline Hanson, racism, racist. Bookmark the permalink. Racist? So Pauline Hanson is a racist!